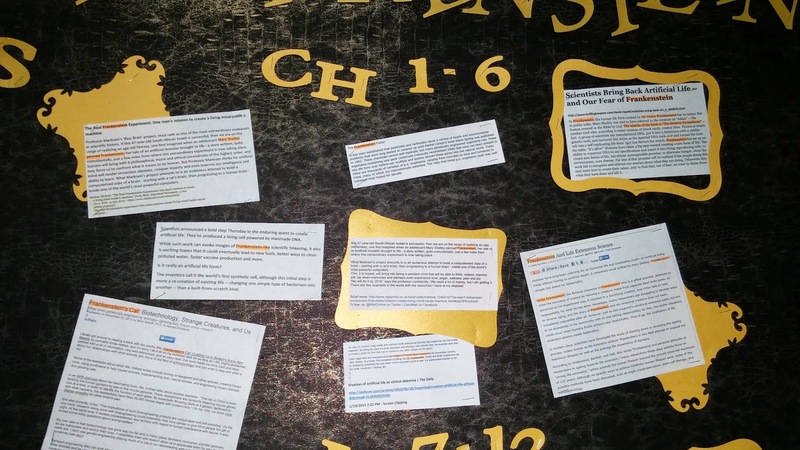 Why should only elementary students get the benefit of awesome bulletins? 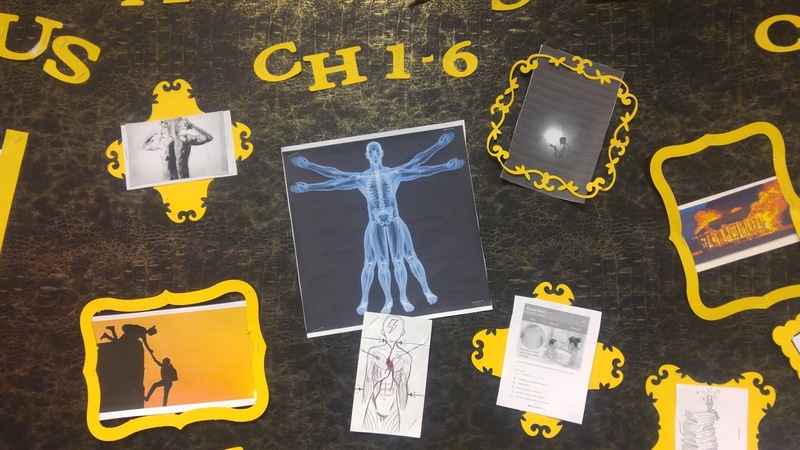 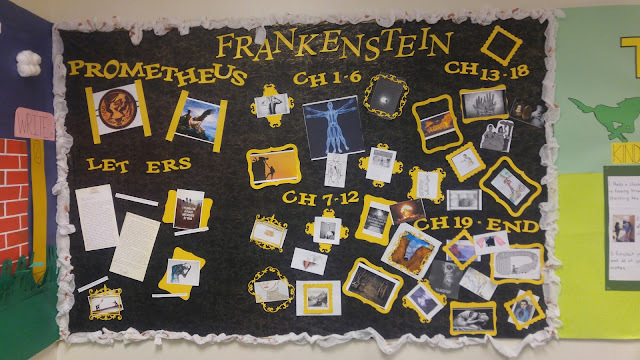 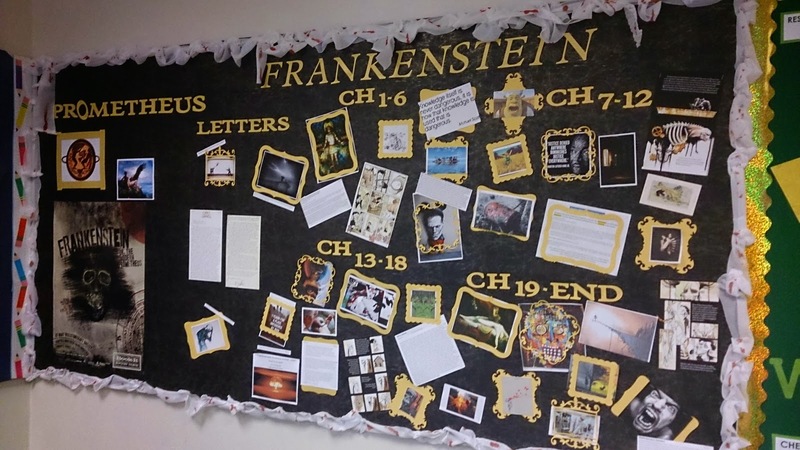 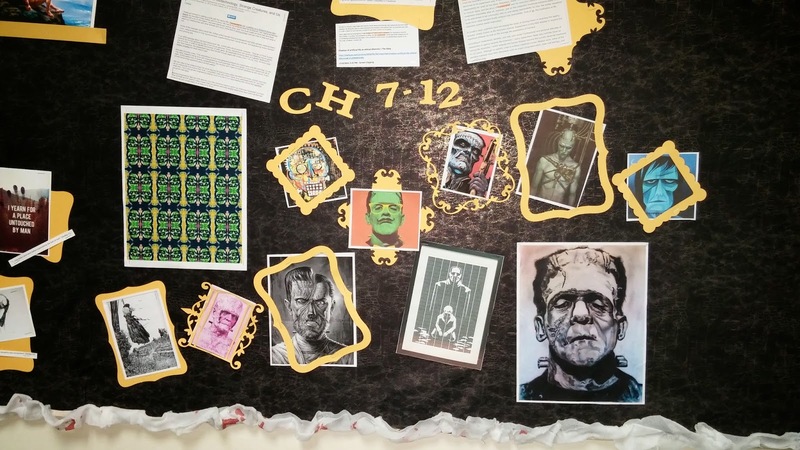 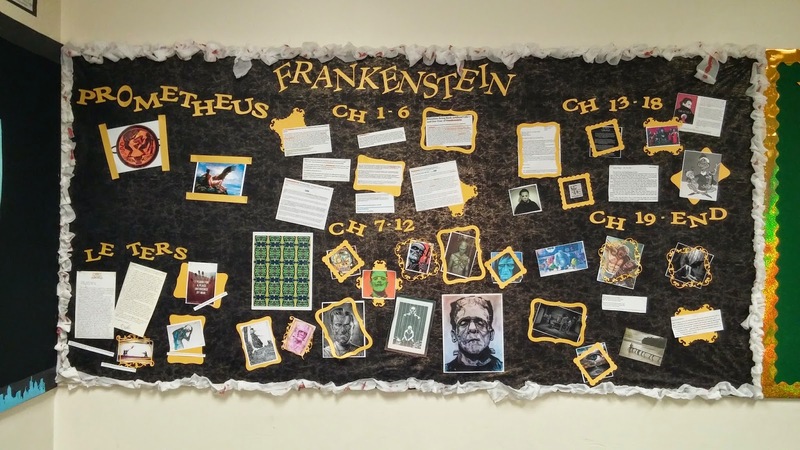 This is my bulletin board for a unit on Frankenstein. 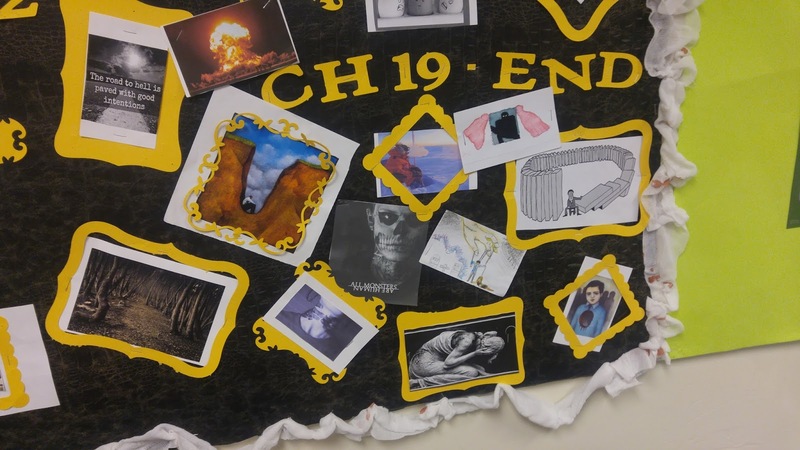 In this unit kids compared Prometheus to Frankenstein and looked at ways that Shelley transformed the Greek myth. 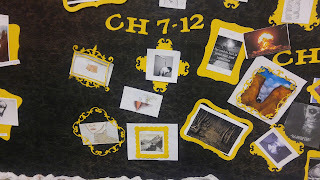 Then, they looked at how pieces of modern art pulled from and transformed Shelly's work. 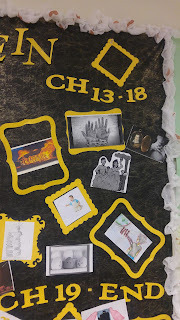 When I started the unit, the board was empty - I used some really cool snake looking black fabric on clearance at Joanns for the background, and then I bordered this with gauze - which I dripped Halloween blood all over to give it that creepy feel. 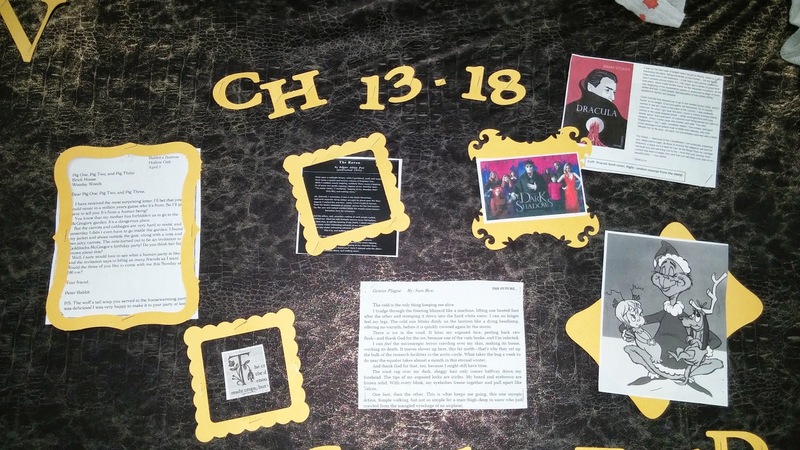 I used my Cricut for all the letters and frames. As we read sections - you can see how I divided the book - the students selected pieces of modern art/literature/non-fiction that had transformed the traditional story in some way and brought these into class to facilitate discussions. I picked some of the best ones from each discussion and posted them on them the board. 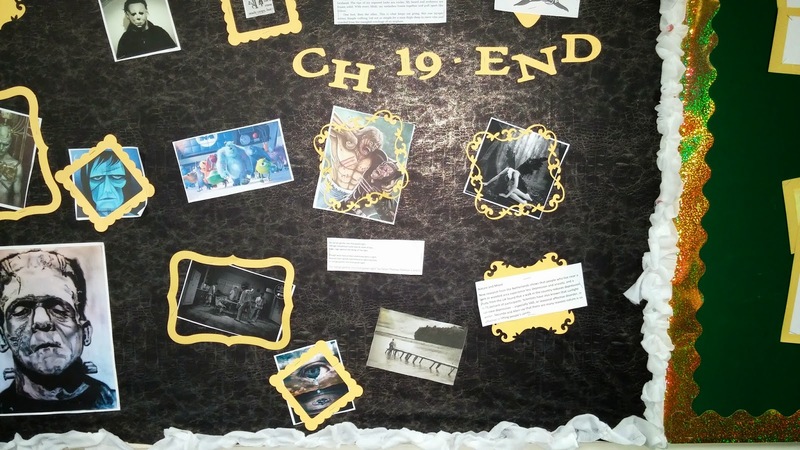 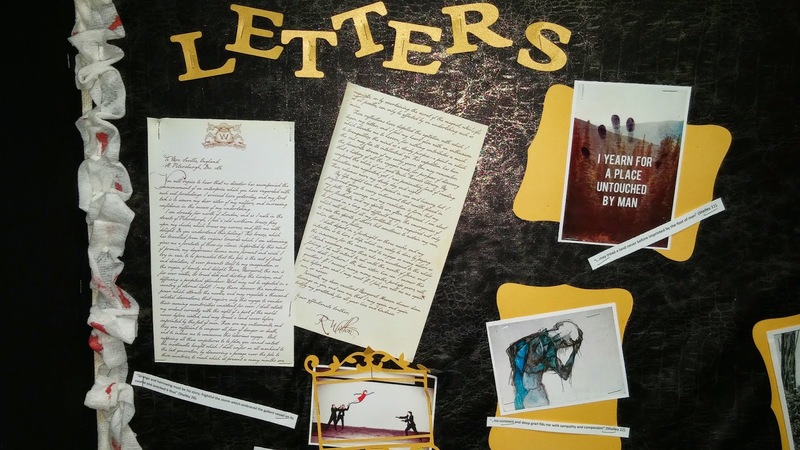 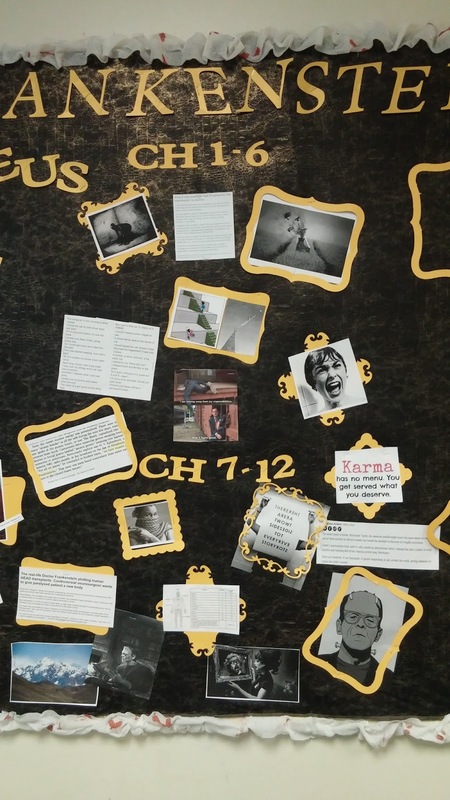 The students really enjoyed getting their work posted and in the end it created an awesome visual representation of the entire novel and led into our culminating project at the end of the unit. Here are cards from the 2015-2016 School Year - this year students were asked just to mix up the types of cards they brought each time, but there wasn't a specific type of card required for each time.